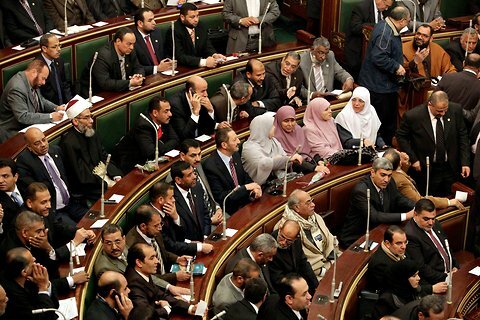 Political Institutions and Stability in Egypt: Can the Egyptians pull it off? Much ink has been spilled since the start of the Arab Spring and the turn towards democratization in the Middle East and North Africa, but it turns out that we are still not too clear about the direction the region is headed towards. Despite all the scholarly insights, punditry and 24/7 news analysis and satire, we are as confused and clueless as we were in 2011. In this short piece, I will try to outlay some of the key arguments made about Political institutions, Modernization and Democracy in the Middle East. I believe that arguments about Islam and Democracy not being compatible and facile, racist and fail to take into account the seismic changes taking place in these societies. One of the key reasons that the Arab Spring began was the dissatisfaction with the status quo. i.e, in particular the economic disparities in countries that were under dictatorships. While the Persian Gulf countries remain awash in Oil money and are relatively immune, there is general agreement among scholars and analysts that the current revolts are a result of economic grievances, linked to lack of political reform and corruption. The debate about “Islamism,” and fear of “radical Islam,” has overshadowed the real debate about challenges, or substantial needs of the populace, that those in power have to satisfy. Despite who is in power, the basics of life – jobs, security, opportunities for youth, a functional state and economy have to be provided for. Given that Egypt is a heterogeneous society, the fact that Muslim Brotherhood, ( MB) did not make an effort to reach out to the minorities’ i.e., Coptic Christians and others seems to have contributed to its fall from grace. Let us briefly look at the history of American political institutions, to look for some lessons in governance. A page from American History: Institution building takes time! Lincoln’s Lyceum address in 1838 about the perpetuation of American political institutions. He was immediately concerned about the rash of violent actions, perpetuated by unruly mobs, which was spreading through much of the country But his greater concern was the difficulty of safeguarding the country’s free institutions, now that the burden of preserving had fallen to a generation that did not create them. He was talking about the need for strong political institutions, rule of law and respect for life and property, so that no tyrant may rise from within the country. The same is true of Egypt’s condition today. The institutions that exist today are a handover of the Post-Mubarak regime and MB with its recent electoral victory was trying to come to grips with the fragile economy and an exuberant populace. While being a social solidarity movement, the MB has had no political experience, having been shunned out of the political sphere for decades. This chance to build institutions, to solidify its political credentials and also earn the respect and loyalty of those who brought them to power has been lost, perhaps by a few rash actions of Mr.Morsi and also greatly by the coup, instated by the Military. Despite the best analysis, scholarship and insights, no one can predict what the future of the region will hold. Will the next 50 years in Egypt resemble those under Mubarak? There are indications that this may not be true, but it is too early to say anything. What I would rather predict is that despite all the rhetoric and brouhaha about change, things haven’t really changed much, on the ground. It is not about the “mindset,” as David Brooks has argued. Not only is this deeply offensive and inaccurate, but is also hegemonic. While he brushes off America’s involvement in keeping Mubarak in power for decades, all in the name of stability, he goes to great lengths to argue against Muslim Brotherhood’s rule, which lasted just a year or so. As a parting thought, I would like to point to Turkey, Indonesia – two countries which are dealing with some of the challenges that a Muslim majority country faces, all the while balancing the needs of its minorities and ensuring there is representation and rule of law – two key ingredients of a democracy. Doesn’t this defeat the Democracy vs. Islam argument? And AKP party in Turkey is an “Islamist one,” to top it all. There are great examples and institutional and cultural norms which favor democracy, participation and upholding the rights of minorities in each of the Muslim countries. While talking of the “Muslim world,” does not help anyone, given the complexity and diversity of cultures, ways of living; it may help to draw upon some of the normative claims and examples from Islamic history, which are replete with democratic institutions and ways of consultation and Ijma, or consensus. So, a short answer to the question, can Muslim majority countries in the Middle East transition to democracies? In short: Yes. The long answer: It depends on the conditions, internal leadership and also the extent of foreign involvement in the country. There is also a need for greater humility and acknowledgment that no one really knows how things will pan out. And also, one must remember that the American civil war lasted for four years, between 1861-65. That’s about four years and over 750,000 dead in total. I hope the pundits are listening. [i] Huntington, Samuel. Political Order in Changing Societies. 1968. Yale Uni. Press. Next Next post: “ I am a devoted follower of Jesus, the man. Not Jesus, the Son of God” – Reza Aslan.